Logistics support time refers to the time that from personnel (maintenance engineers) once informed to arrival the site and start maintenance. Person: the fastest maintenance engineers are the users themselves, then followed by manufacturers, local maintenance engineers, and factory engineers with quick response capability (affected by the service responsiveness of the manufacturer and the means of transportation). Object: the user site is ready to have enough spare parts can be replaced, if the manufacturers and local field offices dont have the spare parts, then need manufacturer to deliver spare parts to site. 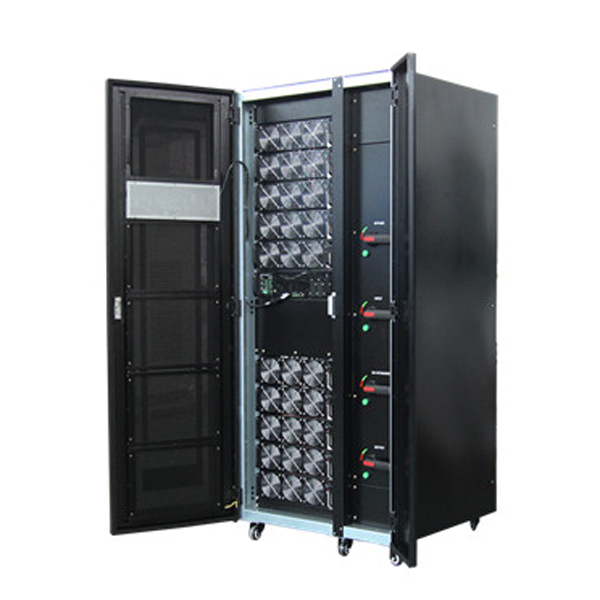 For modular UPS, a system is composed of modules of different capacities, it’s OK to prepare only one module. While for the traditional centralized UPS, the possible fault components can not be located and predicted. In order to improve the probability of repair, more spare parts are often needed. Example: a foreign brand, the traditional centralized UPS failure, at the end of the year. Due to the cold weather, the power grid load is large, the frequent blackouts in power grids are unpredictable, and once the power failure, then all the chips on the assembly line will be scrapped, users are very anxious. At that time, the UPS manufacturers only have Thailand Bangkok office in Asia, and need to send senior engineers to carry a large number of spare parts to site maintenance. While visa takes time, and other costs are not cheap. Users can not stand the long wait, resulting in great losses and expensive maintenance quote, but later inspection results are very unexpected: The actual fault location is quite different from the spare parts that the engineer prepared to transport by air. If it’s modular UPS, it doesn’t take a long time for user to backup a module or even ship a module. MPS9335C series Modular type UPS is modular online UPS for sensitive equipments. The single cabinet power rating covers from 10KVA to 300KVA which delivers the best of combination of reliability, hot-swappable and flexibility. With the latest IGBT three-level technology and DPS control, MPS9335C achieves a high input power factor, low THDi Modular design with N+X redundancy and online hot swapping, easy to expand the capacity Full DSP control of high stability, reliability and safety Integrated IGBT module with improved performance and reduced size.